Posted February 21st, 2019 | Category: Music, Replay Music. 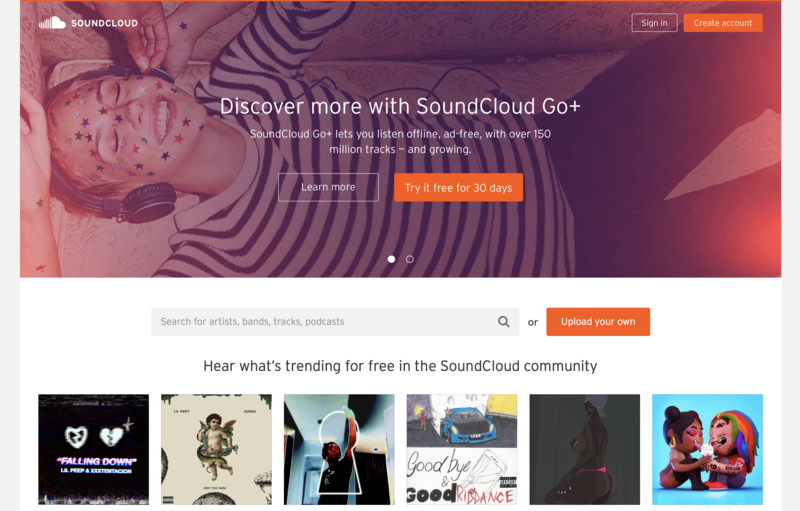 Are you one of the 76+ million people who love to listen to music on SoundCloud every month? SoundCloud is a vast online audio distribution platform that, along with allowing anyone to access music and listen for free, has a full system for artists to upload, record, promote, and share their music with new audiences (that’s you!). With big-name musicians and artists like Future, B.O.B., and more on-board to share new songs with no limit on file size, SoundCloud is one of the unsung heroes of online music. While an amazing platform for finding new artists, obscure tracks, and well-crafted playlists, one of the biggest downsides to SoundCloud is that you can’t listen offline without using up your valuable data. For many music lovers, finding a way to save songs from SoundCloud and download them as MP3 files is the perfect solution. Step 1: Open Replay Music on your computer and select the big “Record” button. Step 2: Launch SoundCloud and head over to the album or playlist you want for your collection. Step 3: Replay Music will automatically start recording MP3 files, the second your Spotify music starts to play! Separate songs precisely into individual tracks. Automatically tags with accurate metadata. Add correct album artwork and even lyrics. Advanced recording technology captures only music – no system sounds or background noises. The best part? Because it lives in the same category as a CD ripping program, Replay Music is 100% legal for personal use! With Replay Music on your side, you’ll have everything you need to save any song you want from SoundCloud! Take a look at the User Guide for more detailed information, or feel free to get in touch with our support team for more. Posted October 9th, 2018 | Category: Music, Replay Music.